At the next Designing Products, we will look at how designers have a responsibility to be good "ancestors" and how our products can have far-reaching and unintended implications. This talk will focus on how we as designers can design responsibly. Think of everyday consumer products and how they can be used for evil. How might we build in controls to prevent these unintended effects in our designs/products? About the series: Designing Products Join AIGA and a panel of leading Product Designers in the Bay Area to discuss how the digital design field has evolved into a holistic product discipline. Many people hear the word product and think of a toothbrush or a toaster and when they hear product designer, they think industrial design. However, the Bay Area is full of great product companies that design and build many types of products from computers to speakers, to thermostats, to websites, and to apps. 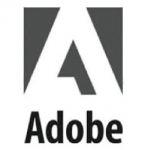 Special thanks to our friends at Adobe - Adobe is changing the world through digital experiences. We help our customers create, deliver and optimize content and applications. Eliel Johnson is a design leader with a passion for designing elegant, intuitive software experiences. He has over 22 years of experience designing for mobile, device, web and desktop software. He is a passionate, curious optimist with the grit to solve big design challenges, the drive to stay with a problem, and belief that we learn from iteration. He views constraints as the necessary starting point for great design, transforming user challenges into peak moments of delight. Eliel has a strategic outlook, and connect the design mission to the business objectives and share his vision through engaging storytelling. Eliel Johnson is currently Vice President and Head of User Experience and Design for Charles Schwab, a leading financial institution with over $3.5 trillion under management. He is responsible for multi-platform design strategy that includes native mobile applications, responsive web solutions and innovation for emerging platforms. Jasmine is currently the Director of Design at Udacity, where she leads the design team in creating student-first experiences in pursuit of Udacity's goal to democratize education. She also teaches interaction design at the Academy of Art University and previously led design at the Chan Zuckerberg Initiative and Facebook. Anisha is a Director of Design at Dropbox, where she manages the Ecosystem & Intelligence teams, as well as an initiative to bring the new brand into our products. Prior to this, Anisha lead teams at Dropbox that are focused on simplifying collaboration, such as Paper and Company Dropbox. Anisha’s previous experience includes design for small business owners at Facebook, as well as time in consulting at IDEO, Hot Studio, and the Danish studio 3PART. Anisha holds an MS in Product Design and Innovation Strategy from Stanford, a BS in Mechanical Engineering from UC Berkeley, and she spent two years teaching 7th grade science with Teach for America in Oakland. Phil Clevenger, Senior Director, User Experience Design at Adobe Systems, Inc.
Phil Clevenger has been designing award winning experiences and building creative teams for over twenty years. His early years were shaped by designing creative products with Kai Krause at MetaCreations during the nineties, including Bryce 2 and Poser 3. His subsequent startup venture developed an early peer-to-peer social networking product called HelloWorld. Then, over ten+ years at Adobe Systems, he designed Lightroom 1.0, developed Adobe’s India design team, managed Adobe’s Digital Imaging design team and oversaw the design process that gave birth to Adobe Ink & Slide. Since 2014, he has been directing the global design group responsible for the Adobe Experience Cloud suite of enterprise products. Phil also loves kissing strange dogs and has the scars to prove it.